Government agencies are lenient regarding impurities in our food supply. For example, in peanut butter there may be thirty or more insect fragments and one or more rodent hairs per 100 grams. Shocking, isn’t it? It’s even more shocking to realize that God has no leniency whatsoever for moral impurity. That’s the idea behind the divine name “the holy one.” The Hebrew word holy means sinless and free from imperfection. God is without error or fault. He is absolute purity and light. This attribute of holiness sets God apart, and makes Him distinct from everything else in a fallen world. Try as we might, we sinful creatures have a hard time comprehending God's blinding holiness, which is referred to in Scripture as “terrible” or “dreadful” (see Nehemiah 1:5, Psalm 68:35). In the same way that an epidemiologist seeks to isolate those infected with a deadly disease, or a surgeon insists on a germ-free operating room, God demands that extreme, even harsh measures be taken to quarantine and eradicate sin. Consider the consequences of sin in contrast with a holy God. Such dire consequences for sin reveal the extent of God's holiness. Like the north and south ends of a magnet, holiness and sin cannot coexist; in fact, they violently repulse each other. Thankfully, Isaiah 57:17 expands the holiness of God to mean there’s not only an aversion to sin, but also a desire to seek out, save, and revive the lost. God’s holiness drives Him to seek and find us. In His perfection, God seeks to restore the world to its original holy and perfect state. It is God's purity that will not allow Him to discard us, though He has reason to. His holiness, rooted in love, compels Him to save. He sent His one and only Son to turn sinners into saints. God's holiness means that God hates sin enough to deliver sinners from it. 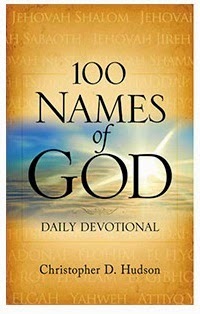 The above article is adapted from 100 Names of God, which will be released in the winter of 2015. Pre order your signed copy.